Before any so called revolution stood an institution. All Japan Women’s Pro Wrestling was the bastion for women’s wrestling in the 20th century, at the time it was the longest running promotion in the country and the legacy of the company lives on to this day with the sheer number of styles and moves that the roster invented that have been adopted by wrestlers across the world. At it’s peak AJW drew massive crowds to it’s big shows and when you look at the roster it’s easy to understand why. Legendary names like Manami Toyota, Bull Nakano, Aja Kong, Lioness Asuka, Akira Hokuto, Chigusa Nagayo and countless others put on classic matches night after night through the eighties and nineties. Unfortunately, the good times were not to last forever as financial problems and poor decisions led to company creating no younger stars and then eventually fizzling out before finally closing it’s doors in 2005. Now it’s our time to rise again. AJW to reopen it’s doors! 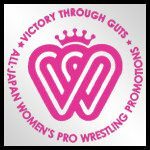 15 years ago, All Japan Women’s Pro Wrestling ran it’s final show until now. A group fronted by the legendary Manami Toyota have announced they have purchased the rights to the company and have a plan to return it to it’s once iconic status and then go further than that. During the press conference, Toyota remarked that right now there is such an abundance of talented female wrestlers in Japan that simply lack the platform to show just how incredibly talented they are and she feels it is her duty to give that back to the sport that has given her so much. She also talked about how Kana, Kairi Hojo and Io Shirai have all had huge success in a relatively short time when given a global platform and that she wants to one day give every joshi wrestler that same opportunity. Manami also confirmed that the doors of AJW are open to any wrestler regardless of their home promotion and if a wrestler is good enough, then no politics or rules will stop them from getting a fair shot in the new AJW. The other big announcement from the company resurrection is that they will be wasting no time and kicking off straight away with the famous AJW Grand Prix and the winner will be the first WWWA World Champion of the new era and guide Joshi wrestling into a brighter era. Last edited by PuroJoshi : 11-07-2018 at 01:57 PM. EDIT: I just saw Saori in the tourney! GO SAORI BEST WAIFU! O M G ! I'm totally into this ! We'll see that after the tournament ! Thanks for the early support guys, means a lot!